The next version of nexus series are here Google has announced, formerly known as Android L, will be called Lollipop, officially version 5.0 of the mobile operating system. 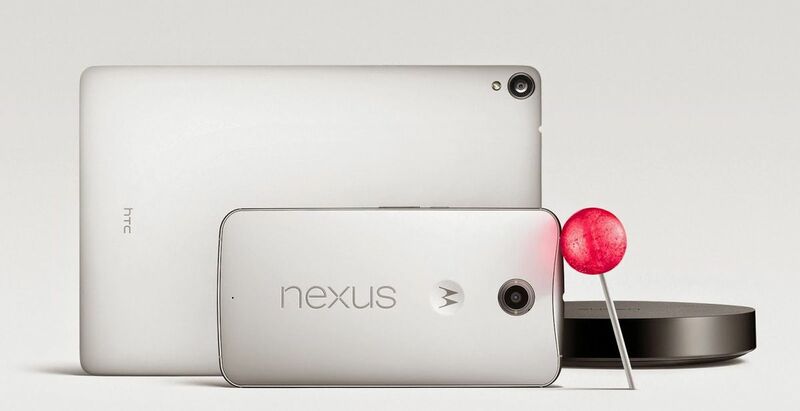 It also announced the first two devices to run Android L: the HTC Nexus 9 tablet and the Motorola Nexus 6. The Nexus 6, made by Motorola, is the first smartphone to run Android Lollipop. It has a 6-inch display with Quad HD (2,560 x 1,440) resolution, a 13-megapixel camera with optical image stabilization (OIS) and a robust 3,220 battery that can charge quickly (15 minutes gets you 6 hours of battery life) with the included Turbo Charger.